CONTRACEPTIVE SERVICES: Benbecula Medical Practice offers the full range of contraceptive services including pills, injections, caps, coils and contraceptive implants. More information about the types of methods available can be found here and there are also leaflets available from the surgery. Dr Dawson inserts and removes contraceptive implants, Dr Longfield and Dr Tierney fit coils, and Nurse Binnie has advanced training in sexual health including fitting caps. CHILDHOOD IMMUNISATIONS (BY APPOINTMENT): Benbecula Medical practice Wednesdays 09:00 - 11:00. 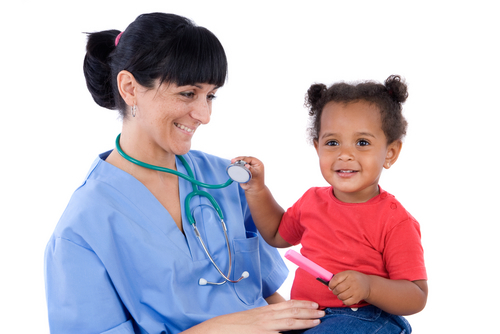 Childhood immunisations can also be given at the branch surgery by arrangement. Changes are afoot - the Scottish Vaccine Transformation Program means that vaccination provision is moving to public health responsibility. We strongly recommend that all children have the full range of childhood immunisations except in those extremely rare cases where there are contra-indications. The normal schedule and vaccine information can be seen here. If you have any concerns at all about your child being immunised, please come and discuss the matter with a doctor, nurse or Health Visitor. These clinics and reviews are arranged on a regular basis. Patients with any of these conditions will be contacted to attend, either by letter or by telephone. The clinics are run by the practice nurses. If you think you have been missed from the recall programme please let us know as soon as possible. IN-HOUSE BLOOD TESTING: Patient blood tests and other investigations are performed in the surgery. Tests are usually done at the request of a GP or nurse, and are undertaken by the clinical support worker. MEDICATION REVIEWS: Our Primary Care Pharmacist, Amy MacPhee, works from the Uist and Barra Hospital on Mondays. She can deal with medication reviews and medication requests. You can phone and make an appointment with her through the surgery. MINOR INJURIES: The Uists and Barra Hospital in Benbecula has an A&E department that can manage all minor injuries, and is open 24/7. The branch surgery in Daliburgh can also manage minor injuries during opening hours. MINOR SURGERY: Some minor surgery procedures can be undertaken at the practice. This is usually arranged by the GP. Wart and Verruca clinics are also arranged by the practice. SEASONAL VACCINATION CLINICS: We have annual clinics for influenza and pneumonia vaccinations which are free of charge to people aged 65 and over, or who have special risk factors, such as heart disease, asthma, lung disease or diabetes. The clinics are generally held in October. We also offer immunisation against shingles for patients between 70 and 80 years of age. Click here for details. SMOKING CESSATION If you are determined to stop smoking, please contact Mairead MacDonald, our smoking cessation advisor, by visiting Smokefree Hebrides. She can advise you about which products will suit you best to bolster up your willpower, as well as offering motivational support. The GPs at the surgery can prescribe smoking cessation products, but prefer patients to be in contact with Mairead as well. WELL NORTH HEALTH CHECKS: These checks screen for risks to your health. They are suitable for patients aged between 40 and 70 years of age, generally every five years. The checks can be undertaken by the clinical support worker or practice nurses. After the check is completed, you will be informed of any risks that have been identified as well as information and advice about how you might reduce those risks. WELL WOMEN CLINICS: NHS Scotland has a national database that sends out letters to remind women when to make an appointment for their smears. If you think you have been missed from the recall programme please let us know as soon as possible.